In A Moral Reckoning, the Role of the Catholic Church in the Holocaust and its unfulfilled Duty of Repair, Daniel Goldhagen asks what the German government did to the Church, its bishops and priests and replies, "Virtually nothing.... One priest, Provost Bernhard Lichtenberg of Berlin, said a daily prayer for the Jews. It took the regime years, until October 1941, to arrest him" (p. 81). In Into that Darkness, Gitta Sereny informs readers that very few German or Austrian priests were ever arrested or harmed by the Nazis (p. 283). They do not say how they determined these facts despite all the evidence to the contrary. To give an idea as to how mistaken it is to say that the Nazis did virtually nothing Catholic priests, or that very few German or Austrian priests were ever arrested or harmed by the Nazis, here is a list of some who were. It is not exhaustive and, for many reasons, it cannot even be completely accurate. For one thing, there were just too many of them. Priests figuring in newspaper accounts of their arrests were not always named and arrested priests did not always make the news. Moreover, newspaper accounts are not always completely accurate. Many priests were arrested several times and many were held in several different concentration camps. A priest belonging to religious orders could have two different names. Variations and errors in the spelling of the names existed. Priests in concentration camps did not always declare themselves as such for fear of even harsher treatment. In addition, since Hitler changed Germany's borders and redefined Germanness, by for instance, considering Alsatians as members of the master race, whether they liked it or not, it is not even always completely clear exactly who is to be considered a German priest and who not. There is ample information to be found on these priests. Many of those who survived their ordeals published their memoirs. For example, "And Who Will Kill You" by Bedrich Hoffmann, a priest who was in Dachau for several years, contains an almost 300 page list of priests in Dachau. Father Bombitzki of the Ruhr district arrested in July 1933 for criticizing the government. Father Joren of Stollberg-Muehle was arrested for criticizing the government. Brother Eduard Magnus, in Ratibor sentenced to four months in jail. Heinrich Maier, beheaded on March 22, 1945. Michael Molecz, arrested by the Gestapo in 1942, sentenced to 4 ½ years in prison. Franz Rolle, tried for libeling Hitler, Rosenberg and von Schirach in November 1935. Johann Ruggenthaler, arrested by the Gestapo in 1938 and 1944. 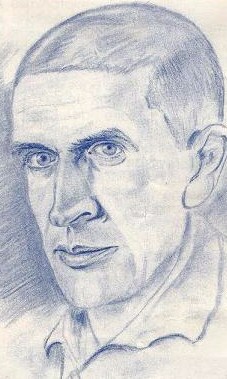 Hermann Scheipers, arrested October 1940 for ministering to Polish forced laborers, Dachau 1941-45 as enemy of the State. Bernhard Stempfle, deported to Dachau, his body was found in the woods near Munich.